As outlined in our Dashboard 101 section, it’s important to have a plan of attack before jumping into dashboard creation. For starters, what area of your business do you intend to focus on? Regardless of your scope, AppInsights can provide a compelling solution, but it’s important to have a basic understanding of what data you’d like to monitor and where it’s coming from. Service integrations -- AppInsights offers over 70 direct connections to popular web services. These integrations have been built from the ground up by our developers using open APIs that will make it particularly easy for you to surface and monitor common metrics from these services. You can find a full list of integrations on our data sources page, or from within the app by hitting the blue “+” button at the top left of the screen. 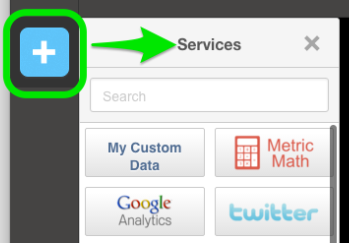 Please note that for most of our out-of-the-box integrations, there is a curated list of available metrics. 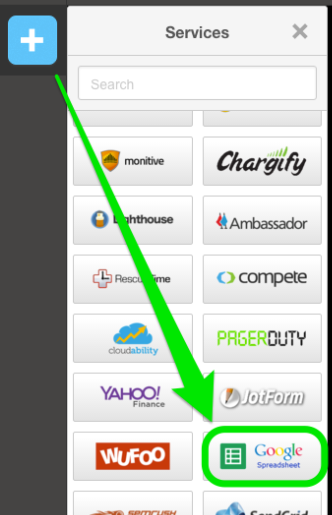 (Exceptions include JIRA, Salesforce, and Google Analytics which each offer custom query functionality.) We’ve done our best to ensure that the selected metrics are most likely to correspond with common areas of user interest, but it’s possible we may not have the specific metric(s) you’re interested in for a given service. Make sure to contact us with feedback if we’re missing a key metric. 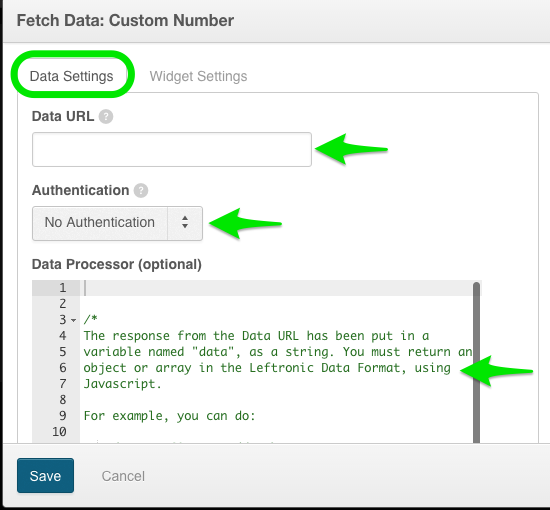 Database connectors -- For those users that would like to run direct SQL queries against a database instance, we currently offer several options: Amazon RedShift, MySQL, and PostgreSQL. To leverage these tools, navigate to our Services panel and -- for MySQL or PostgreSQL -- select the “Databases” tile and then select the format of the data you’ll be retrieving. 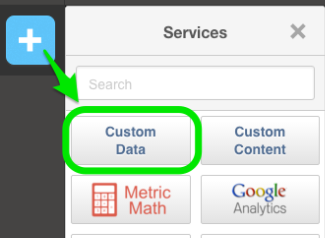 Amazon RedShift has a tile of its own within our services panel, with similar data format options. You can find full instructions for DB connectivity in our database connector tutorial. CSV Upload Tool -- For many companies, interactions with company data and KPIs have been reserved to carefully prepared Excel spreadsheets and graphs. 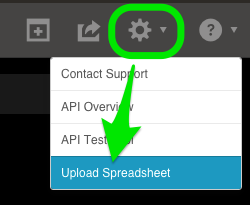 While the purpose of AppInsights is to provide your team with live, dynamically updating dashboards...we don’t want to invalidate any strong internal processes you’ve designed around spreadsheet creation. 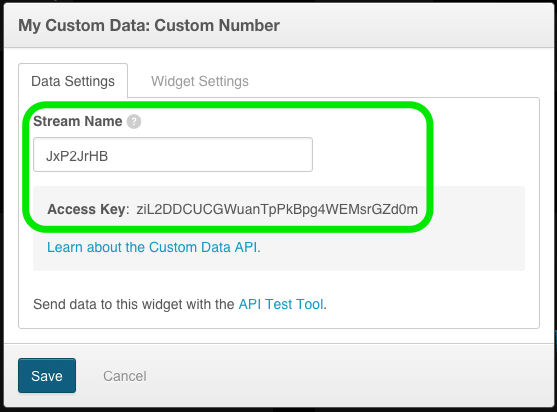 For a full step-by-step guide, check out our CSV Upload Tool tutorial in our support portal. Google Sheet integration -- If you’re interested in taking your spreadsheet data one step further, you’ll want to check out our Google Sheet integration. 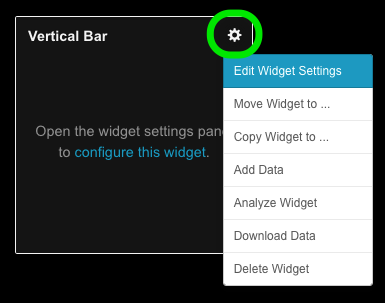 While our CSV Upload Tool requires a fresh upload of data whenever you’d like your visualizations to update, our Google Sheet Integration will allow you to maintain all of your data in an online spreadsheet -- anytime you modify the data points or data sets on this sheet, the changes will automatically be reflected in your connected AppInsights widgets. 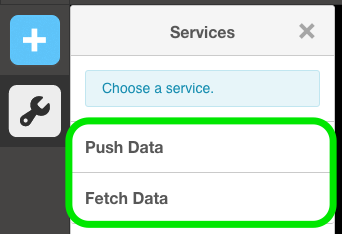 Push & Fetch data tools -- For users with a high level of technical aptitude that plan to represent large amounts of custom data within AppInsights, we recommend our custom Push or Fetch data tools. As long as the necessary infrastructure is in place to host your scripts, you can push or pull data into your AppInsights visualizations as quickly as every 10 seconds.